Blue Force Gear is obsessed with lightweight and lightening the load™ of the modern warfighter. A key element in lightweight is advanced materials combined with innovative technology. 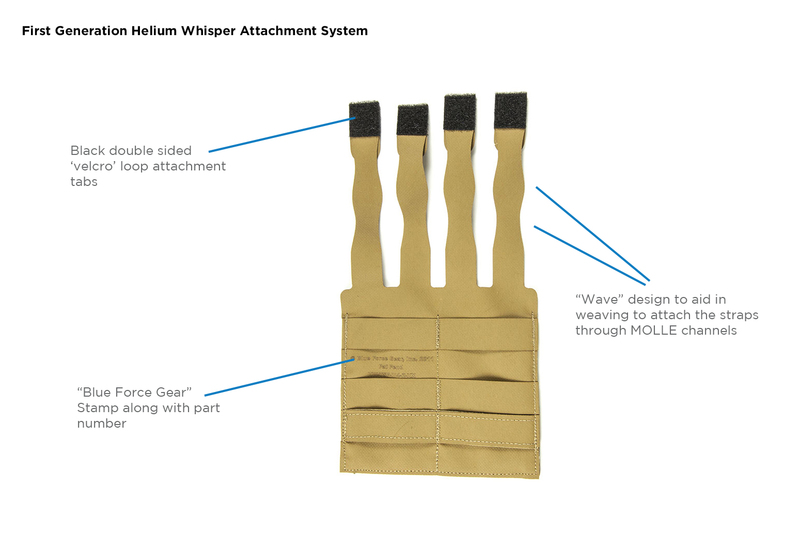 Helium Whisper® is a revolutionary MOLLE attachment system that combines a single piece back panel design with an ultra-light, extremely durable high performance proprietary laminate called ULTRAcomp™ . This design drastically reduces the number of parts needed for MOLLE attachment, minimizes the potential for errors and weak points, is easier to produce, and most of all is lighter than any other pouch attachments system available. Pouches with Helium Whisper attachment system are currently issued to some our nation’s most elite units, several with NSN listings. 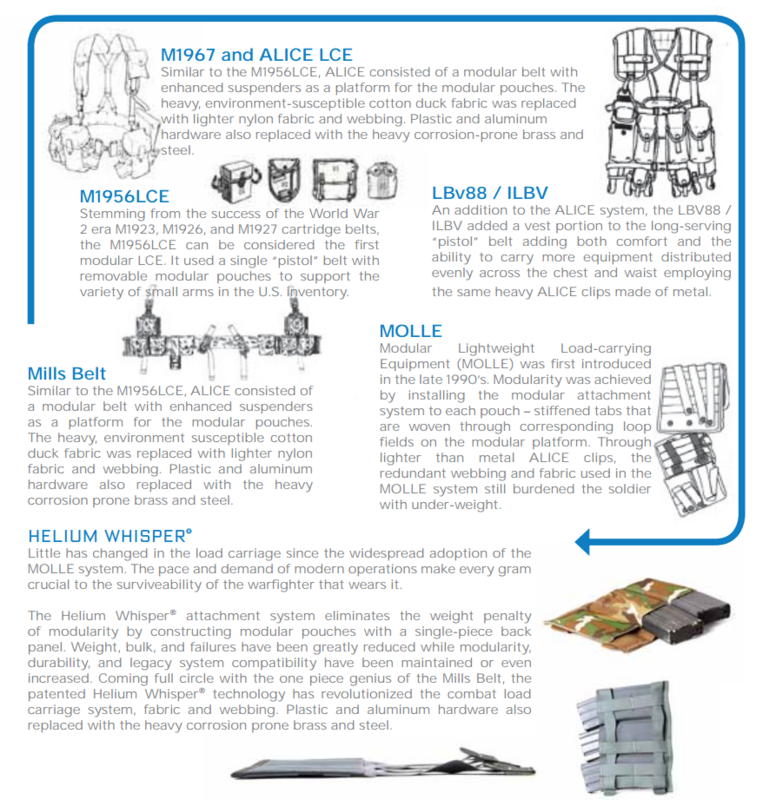 Pouches built with Helium Whisper® are lighter and stronger than traditional pouches. While some companies switch to construction to inferior or inappropriate materials, Blue Force Gear pouches are built with industry standard 500d CORDURA on the front, saving the weight with Helium Whisper back panels. This allows Blue Force Gear pouches to be up to 60% lighter than equivalent pouches with no loss in durability or function. Helium Whisper® back panels while being seemingly light and flimsy exceed the durability of 1000d CORDURA. The Natick Snap system, the most common MOLLE attachment backing found on issue pouches, consists of 27 parts at roughly 84 grams or 3 ounces. Helium Whisper® reduces just the attachment system down to 6 parts at almost half the weight - roughly 44 grams - on that same double M4 mag pouch. Less parts allows the pouches to be lighter and more durable than conventional pouches. Fewer parts also equates to fewer failures. There are no shortage of combat users that tell tales of corroded closed, missing, or damaged MOLLE snaps, sometimes rendering pouches useless – experiences that can be backed up by the broken closures now found in surplus stores. The hook and loop closure of the attachment straps are field repairable with a sewing kit and do not need special rivet or snap sets or industrial sewing machines. Helium Whisper® one piece back panels are easier to produce which greatly reduces production errors. Like broken snaps, there are plenty of pouches that arrive new but unusable because of imperfect MOLLE attachment strap construction or misalignment. Helium Whisper® panels are laser cut with extreme precision, eliminating alignment errors both with pouches and with the MOLLE vests, belts, and platforms they attach to. The flexible laminate straps can fit in narrow or misewn MOLLE webbing channels, giving the user the ability to install pouches where they were previously unable. There are several similar looking MOLLE attachment systems on the market using a rubberized material often mistakenly called ‘hypalon’ - but only one Helium ® built with superior ULTRAcomp®. Below is a simple diagram to help you identify genuine Helium Whisper built gear. Where can you find Helium Whisper? 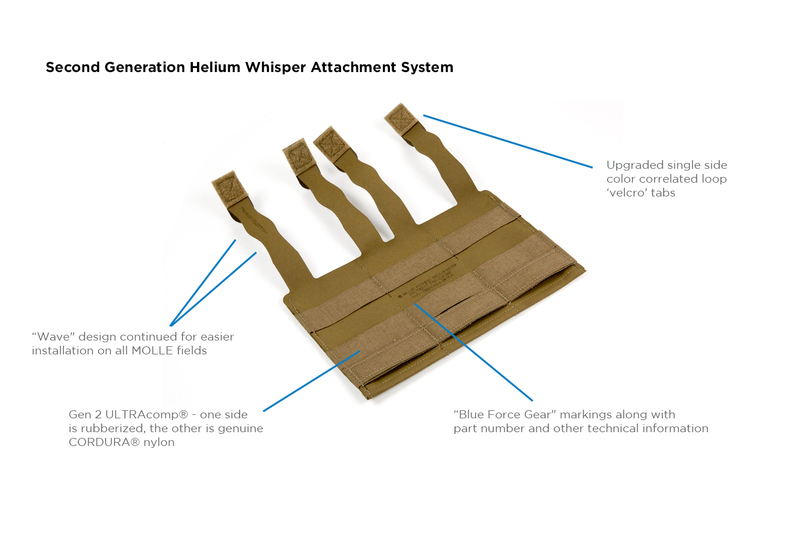 All MOLLE pouches currently offered by Blue Force Gear are built with Helium Whisper technology. 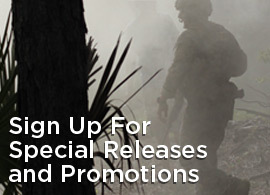 US customers can purchase pouches and other light weight gear right here or at your local Blue Force Gear Dealer. There are also several other manufactures that license Helium Whisper back panels. HeliumWhisper.com lists our current licensees and their gear lineup.